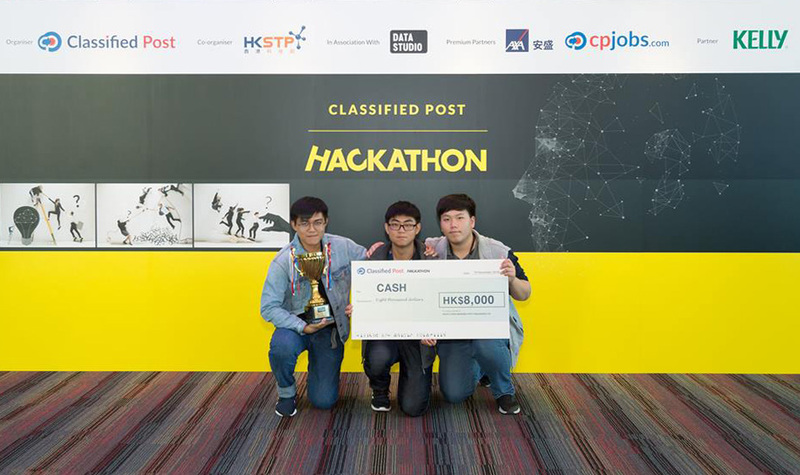 We were excited to know a team of three undergraduate IE students, WONG Kin Fai, TAM Kin Pak and KWAN Tsz Kit, won in the Classified Post Hackathon 2018. The competition was a 24 hours challenge for students and fresh graduates to build winning digital solutions for large corporates. Twenty teams were participating in this event on 17-19 November and they were assigned to 2 different categories, Media and Insurance, by ballot. The assigned challenge for the winning group was to create a career GPS program which provided advice to people about their career paths. They had employed the techniques of machine learning to find the correlation between the skills and the jobs, and output the best job for the user based on the of the users' skills specified.